Roomy apartment home in quiet Outer Richmond area of San Francisco. With 3 full size bed, 1 queen size bed and 1 queen size futon, we can accommodate up to 6 people comfortably and up to 10 people for an additional fee. Full kitchen equips with oven gas range and dishwasher, countertop oven and microwave, refrigerator, coffee machine and electrical kettle; great for family vacation or traveling in a group. We also have a Graco pack n' play and a high chair available upon request. High speed internet WiFi hotspot is provided throughout the stay, a 42" LG Flat Screen HDTV with Google Chromecast streaming let you enjoy your favorite shows and movies during your stay. Extra HDMI cable slot let you plug in your own devices. Easy access to the back yard when you want to just relax during the day. Only a minute walk to Golden Gate Park where you can bike around, walk around the lakes and ponds, and enjoy the environment while having BBQ and so on. Quick access to public transportation and restaurants around the area, it usually takes 10-20 mins to get to most of the places, like Japan Town, Union Square, Fisherman's Wharf...etc. 100m walk to closest laundromat and kids playground and 5 mins drive to the nearby Ocean Beach where you can spend a great time walking down the Pacific Ocean Coast. Plenty of street parking spots if you are driving, and parking on the driveway is available upon request for a small compact car like a Corolla or a Prius. Just leave your car keys as instructed. Hi! I am Hillary. I am from Hong Kong and moved to San Francisco 20 years ago. I love everything about this city, especially the amazing weather throughout the year. Since I've been a full time mom and housewife for a very long time, I love to take times off and go traveling after my kids graduated from college. In my spare time, I also love to play golf and discover new cooking recipes. Located in Outer Richmond District, right next to Golden Gate Park and 8 mins drive from the Ocean Beach. It's a quiet neighborhood with easy access to restaurants and shops. Roomy home has 3 private bedrooms, 4 beds and 1 futon in the living room that can also turn into a 4th bedroom at night. Suitable for group traveling and families traveling with kids. Loved the area and the home was very comfortable. quiet, safe neighborhood. very clean, comfortable place. would stay here again. Great location. Quiet neighborhood. Comfortable beds. Great to have a parking place. House was very clean and spacious. Hillary was responsive to any needs we had during our stay. 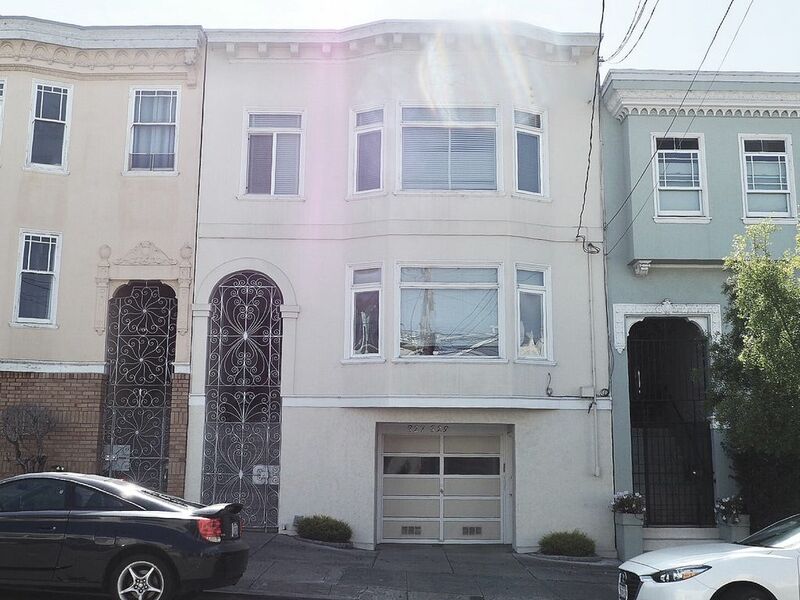 Great location in walking distance to Golden Gate Park. I wish the kitchen was a little better equipped with more plates and cups. The place was very clean and had plenty of room for us to spread out. It is always nice having the option to use a kitchen which is one of the great things about using HomeAway. The instructions on how to enter, etc. were clear and easy to follow. Hillary was very accommodating. We ended up having to buy paper towels since there weren't any hand towels in the bathrooms, but we were going to the store anywhere so it wasn't a big deal. We had more than enough room with only three of us as the place could easily accommodate more people. Lots of nice features. Hi Andrew, I'm glad to hear that and I so appreciate you taking time to share your experience! Thank you and look forward to seeing you again! This vacation rental met all of our needs—right down to the extra amenities like bath products and umbrellas. It's clean, comfortable and very peaceful. I love the location right next to Golden Gate Park too—perfect for morning walks! DearTace Bedell. I'm glad to hear that and I so appreciate you taking time to share your experience! Thank you and look forward to seeing you again!